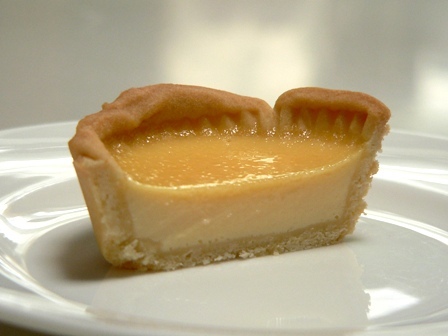 Dan the Man (aka Dan Lepard) created this recipe for bay custard tarts several months ago, and I’ve been wanting to try it ever since. Today was the perfect opportunity – I had leftover shortcrust pastry (June’s recipe) in the fridge, and an abundance of eggs. 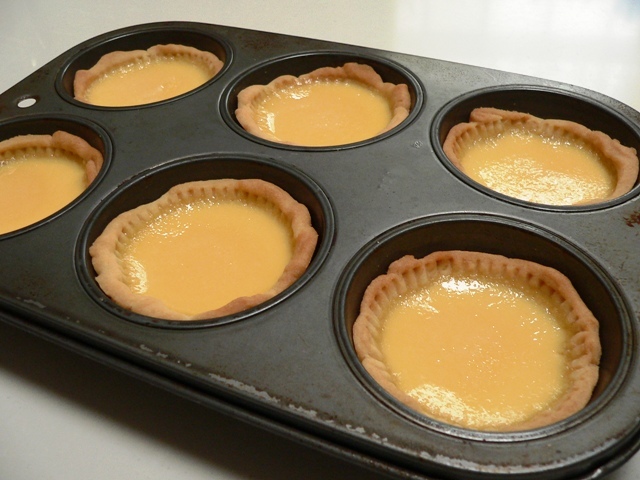 The tarts are very moreish, and a little too easy to eat! 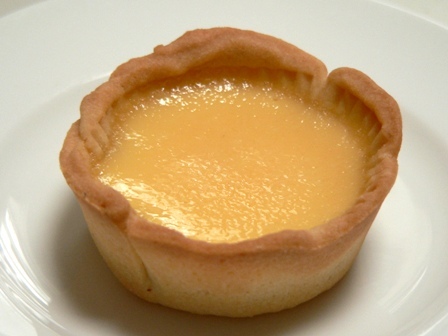 C, I am a little partial to custard tarts. These look great but you can’t forget the nutmeg! I’d be happy to take these rejects off your hands so you can do it over properly. Hehehe. Bodhi just saw the picture and said “Mama can you buy those … pleeeeeeease”. Look delicious – but I can not imagine the taste with the bay leaves. What is like? I am not sure that I have ever defined the taste of bay leaves when cooking! It’s quite distinctive, Anna – pop a bay leaf in a cup of hot water, and you’ll recognise the aroma (and also the taste!). Aah…I may have to try this, even given my aversion to bay leaf! Hmmm, they look delish though….